AP photo, published by CNN. 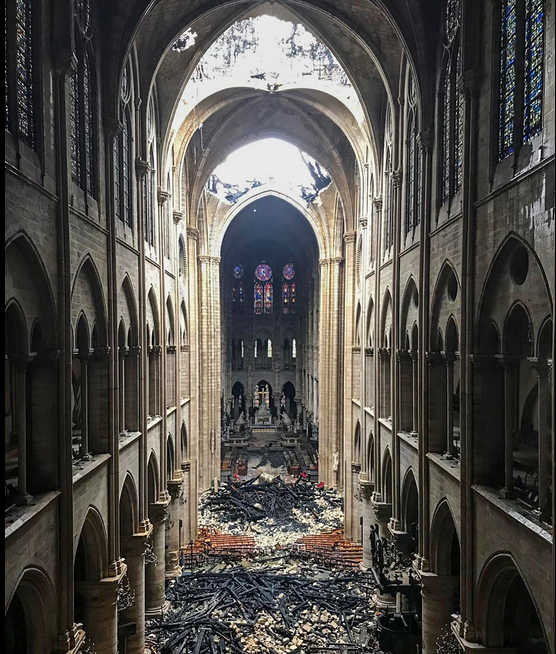 It was late in the afternoon of the day Notre Dame burned when my daughter called. A year ago I sat on a folding chair in an ordinary meeting room listening to poetry. The room had a table with the usual hospitality contributions – bottles of juices and water, crackers, a tray of vegetables and hummus. Another table held books for sale and a third a display of paper made from the pulped uniforms of veterans. If I have a lodestone – a spiritual magnetic north – it is here, in this little country church a mile or so away from my grandparents’ home where I would come to spend most summers growing up. I love this place, this beautiful land in the Appalachian foothills, rolling pasture lands, wandering Black Angus cattle, green in the way Ireland is green. My memories are deep and woven into me in the complicated ways of love.